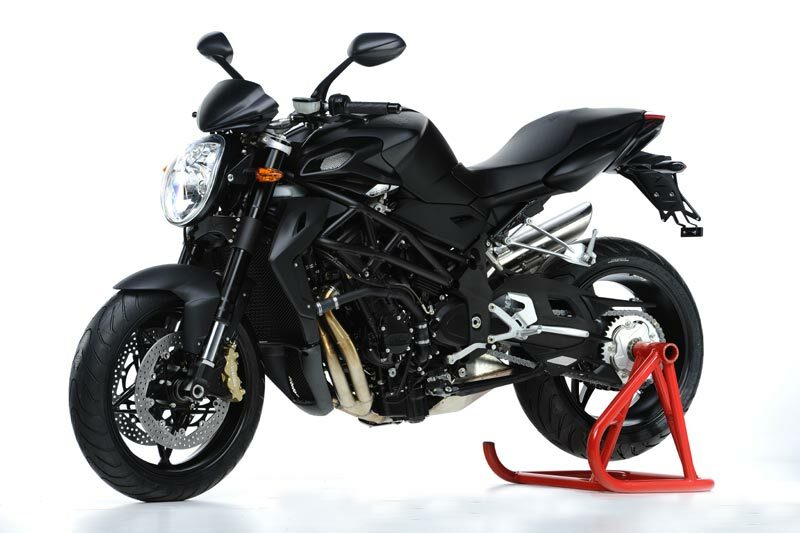 2011 MV Agusta Brutale 1090R Outed in Canada – Replaces the MV Agusta Brutale 920? 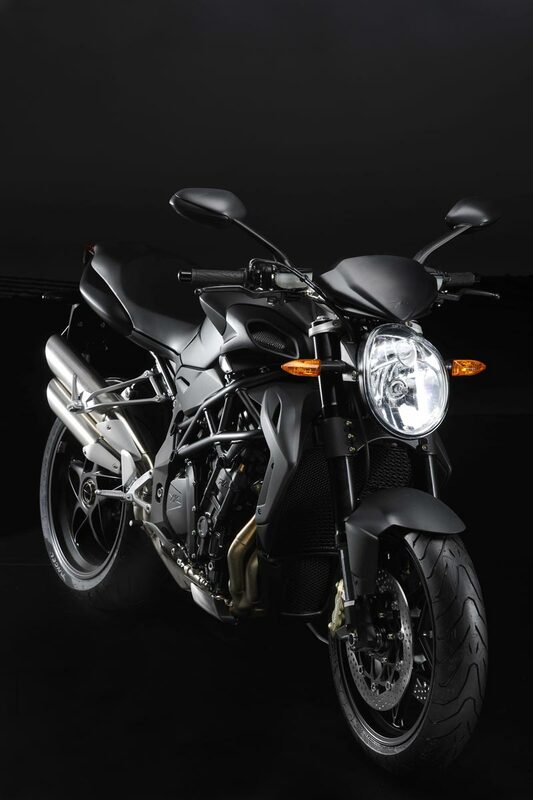 UPDATE: According to CMGonline, the MV Agusta Brutale 1090R will replace the Brutale 920 only in the Canadian market. 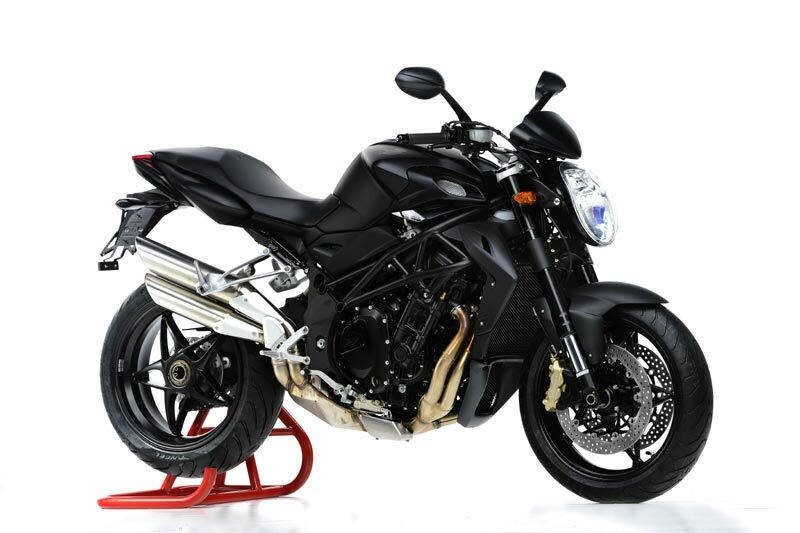 Available in Summer 2011, the MV Agusta Brutale 1090R is sporting a $16,695 price tag in Canada, which will likely translate into a sub-$15,000 MSRP here in the United States. 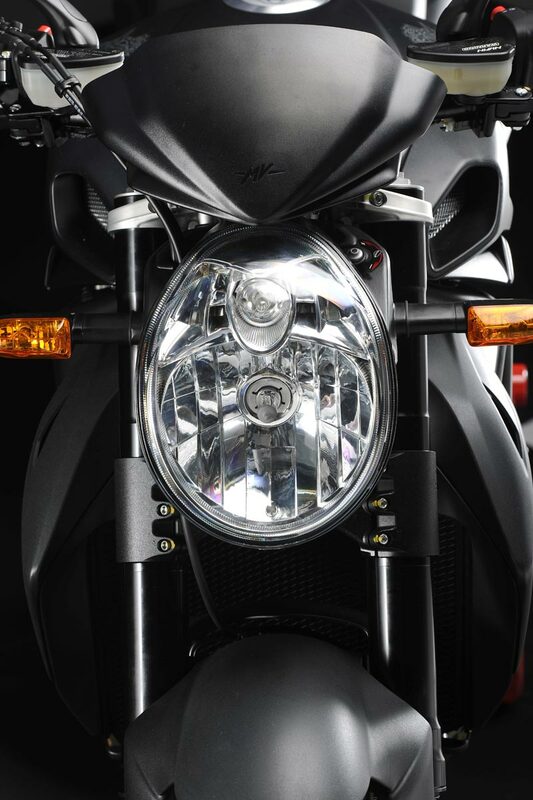 At the core of the Brutale 1090R is a 1078cc that’s good for 144 hp, which is based off the Brutale 990R’s motor, but makes similar spec’s as the lump found in the Brutale 1099RR. 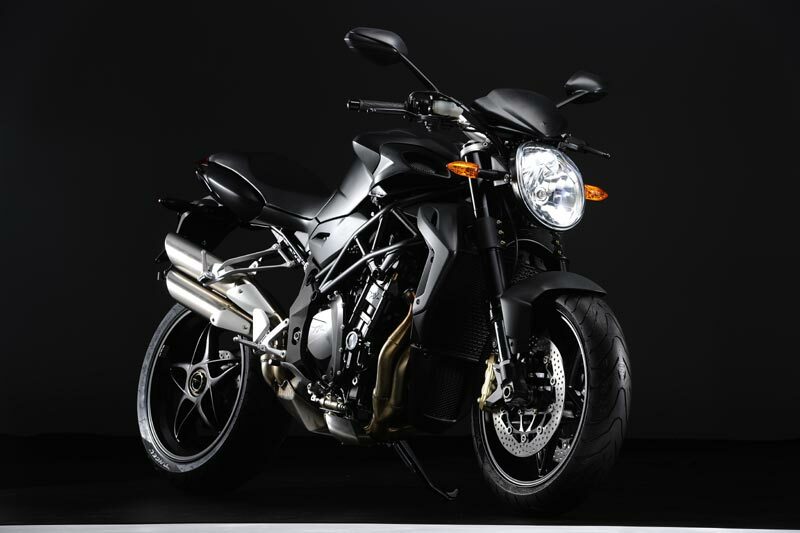 If you’re asking yourself why does MV Agusta need another lower-spec Brutale? 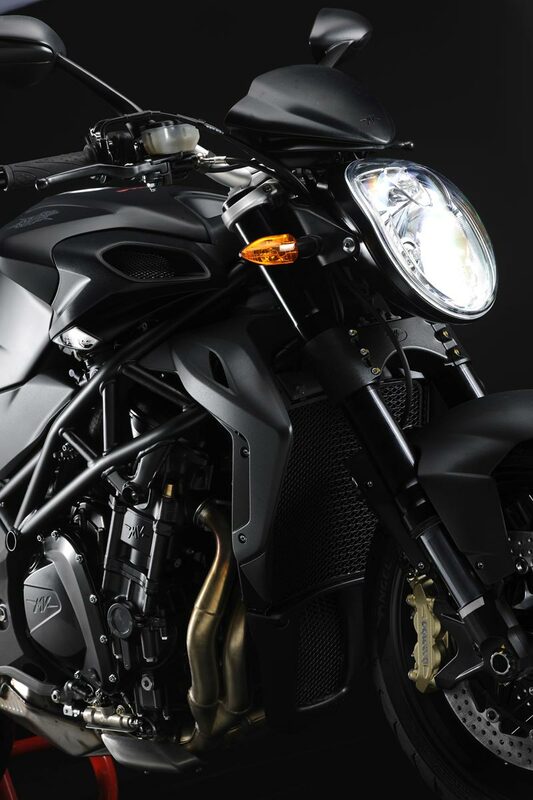 “It doesn’t” would be the answer, but the Italian company has seemingly quietly nixed the Brutale 920, presumably in favor of the 1090R instead. 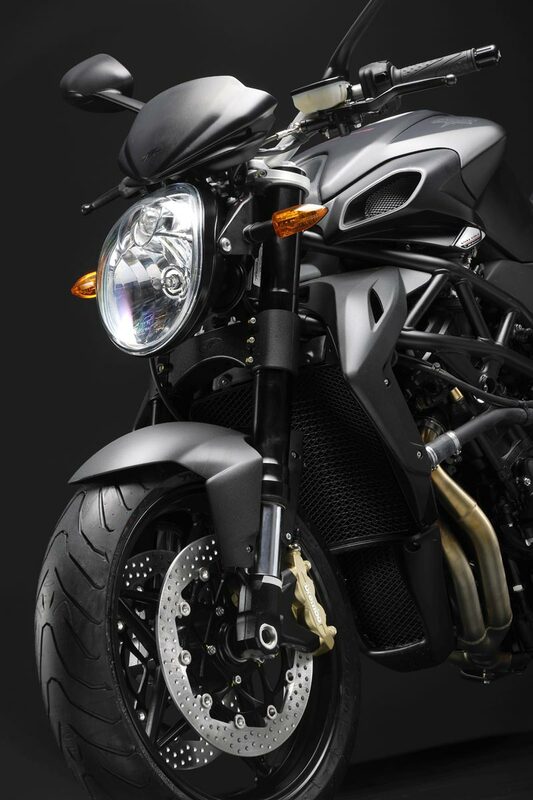 With the Italian site still listing the entry-level Brutale as a 921cc model, Canada has either outed a new model, or the news that the Brutale 920 will be replaced by the Brutale 1090R (interestingly enough, the Canadian site has done away with almost all reference to the 921cc machine). Either way, details on this bike are after the jump. 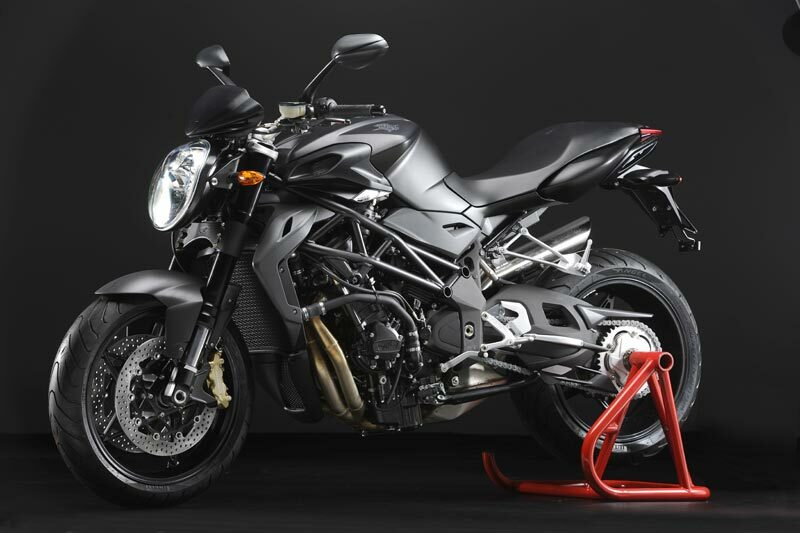 MV Agusta hopes that the MV Agusta Brutale 1090R will be a cost-effective and robust platform that motorcyclists will consider buying on value. 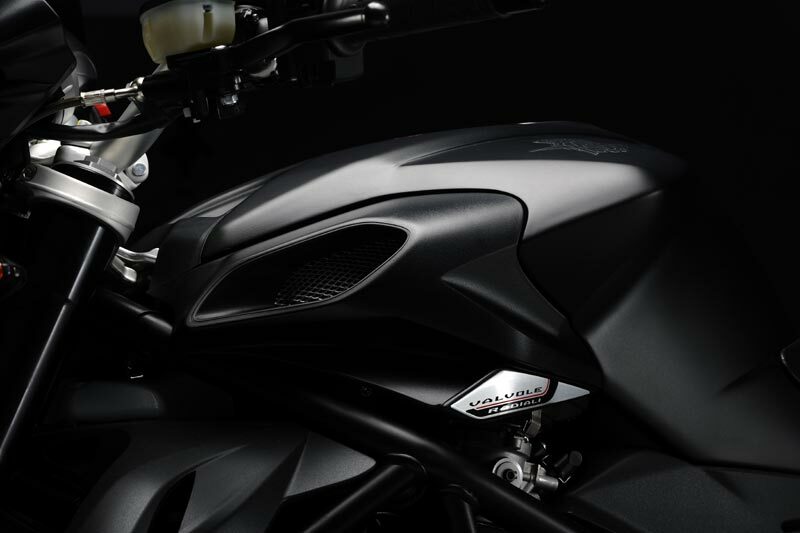 It features a Magneti Marelli 5SM engine control module, along with an eight-way adjustable traction control system. 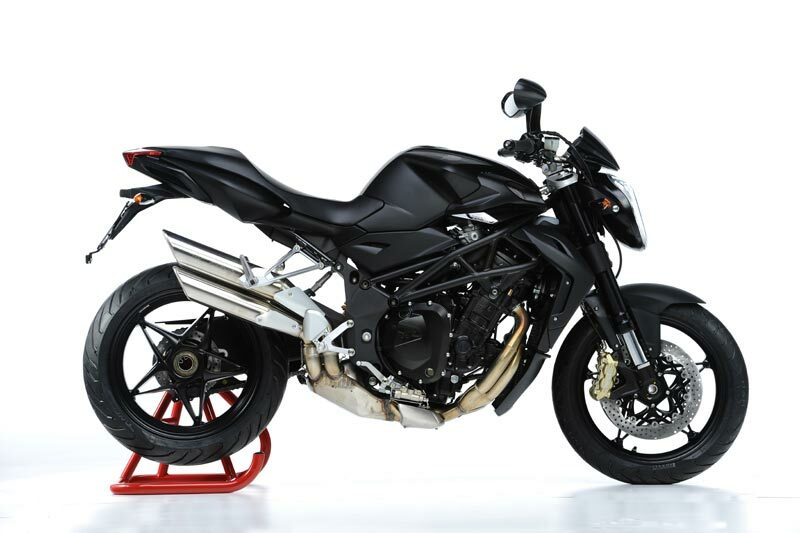 Also new for the model is a single-piece seat (as was seen on the Brutale 920), which is lower and narrower than previous models and makes the bike more friendly for shorter riders and passengers. Other cosmetic changes are the removal of the turn signals from the mirrors, which MV says is to improve their visibility in city traffic, but is more likely due to the costs associated with those parts. 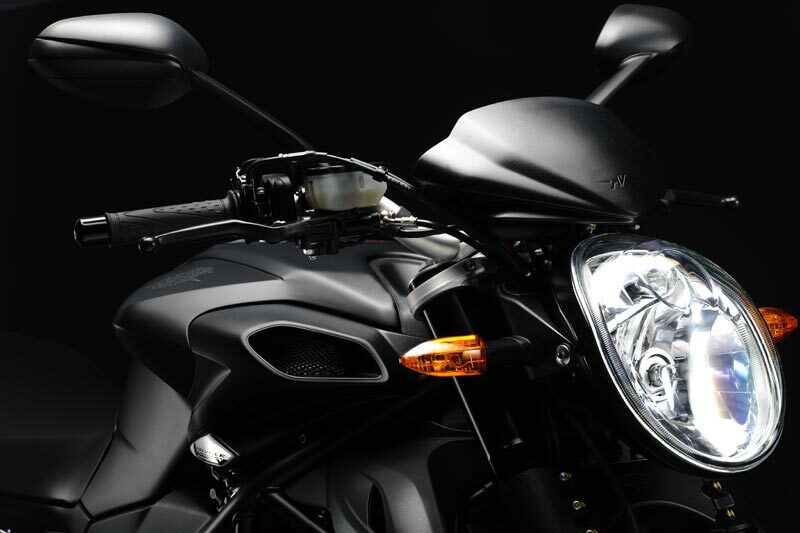 As for colors, you’re limited to either black or white (note: the photo above is NOT of the new Brutale 1090R, but is instead of the 990R). 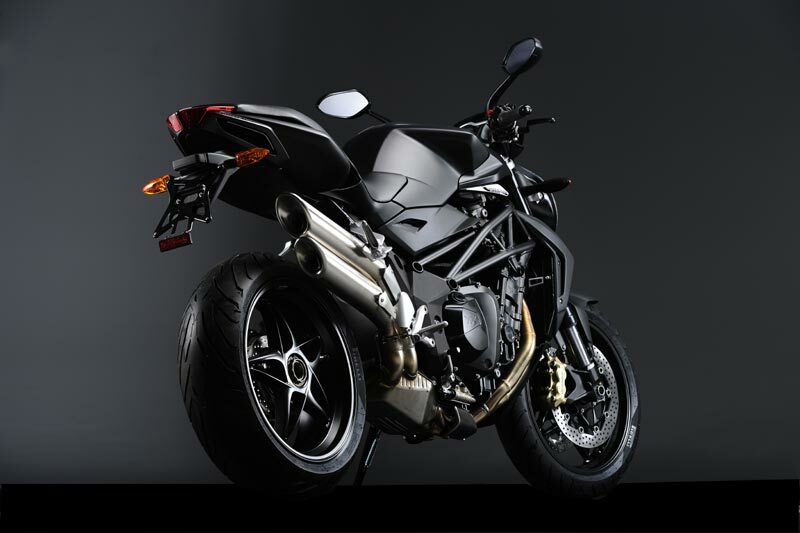 With the motor derived from the Brutale 990R, MV Agusta has made only refinements to the design. In addition to bumping it up in displacement by 80cc, MV has made the inline-four motor smoother under acceleration, presumably from the new ECU package. The other changes made for the 1090R seem to be also refinements to the 990R design, and include modifications to the gearbox, generator, lubrication system, water pump, and cooling system. 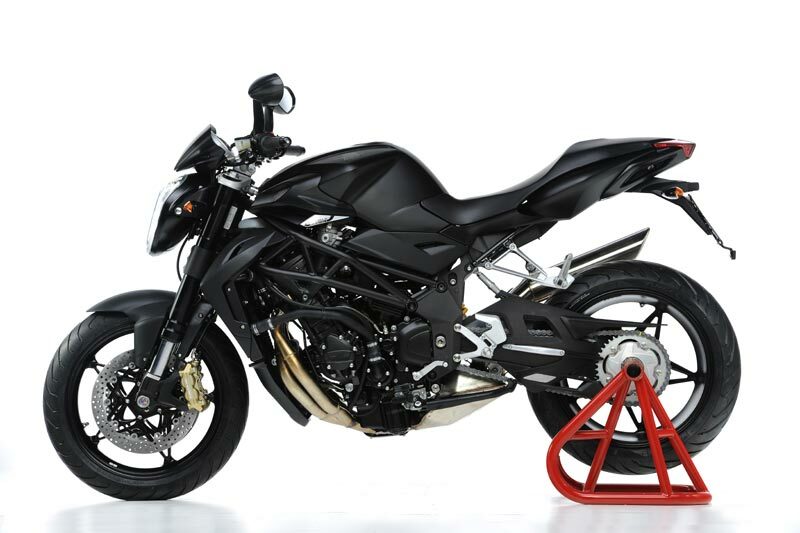 The chassis of the Brutale 1090R is mostly the same as the rest of the Brutale line, with seemingly only the steering head design being improved upon for greater rigidity. 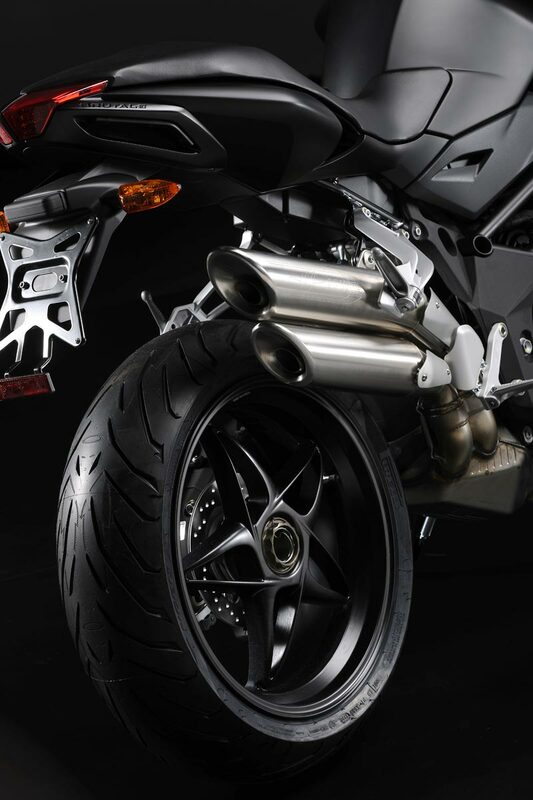 The suspension on the MV Agusta Brutale 1090R has been blunted to appeal to more novice riders, with softer settings being the order of the day. Forks will be 50mm USD Marzocchi’s, while the rear shock is a Sachs unit. It would seem these parts will have full adjustability for those riders looking to depart from MV’s base setup. 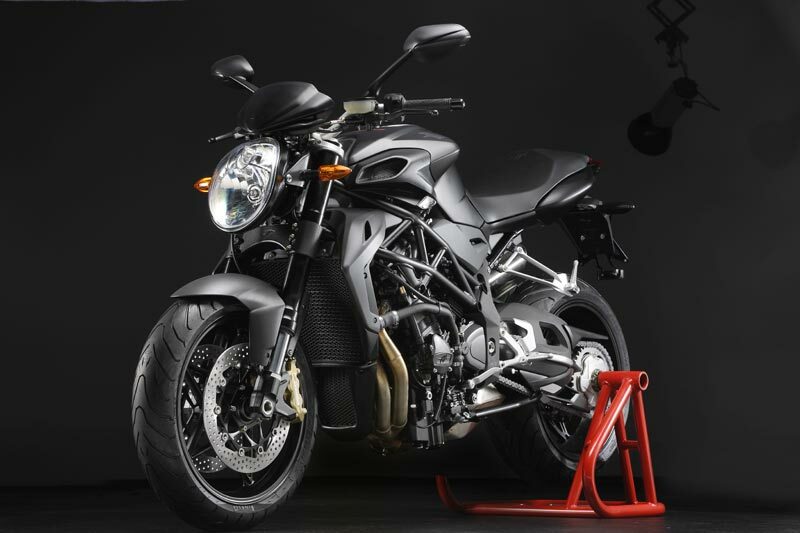 Looking at what MV Agusta has put together here with the 2011 MV Agusta Brutale 1090R, it would seem they realized that making a new model like the Brutale 920 was less cost effective than just retooling another bike they already had in the line-up. The interesting thing to see now is whether or not the Italian company has put enough differentiation into its naked bike product line, which sees three bikes within 80cc’s and $2,500 of each other.